The SR-38 Type A sliding head lathe provides maximum functionality and capacity within a compact footprint. This model can easily be switched between guide bush mode (Swiss type) and non-guide bush modes with the ability to process raw material up to 42mm (in NGB mode). The independent X3 slide enables balanced cutting on the main spindle for maximum metal removal. 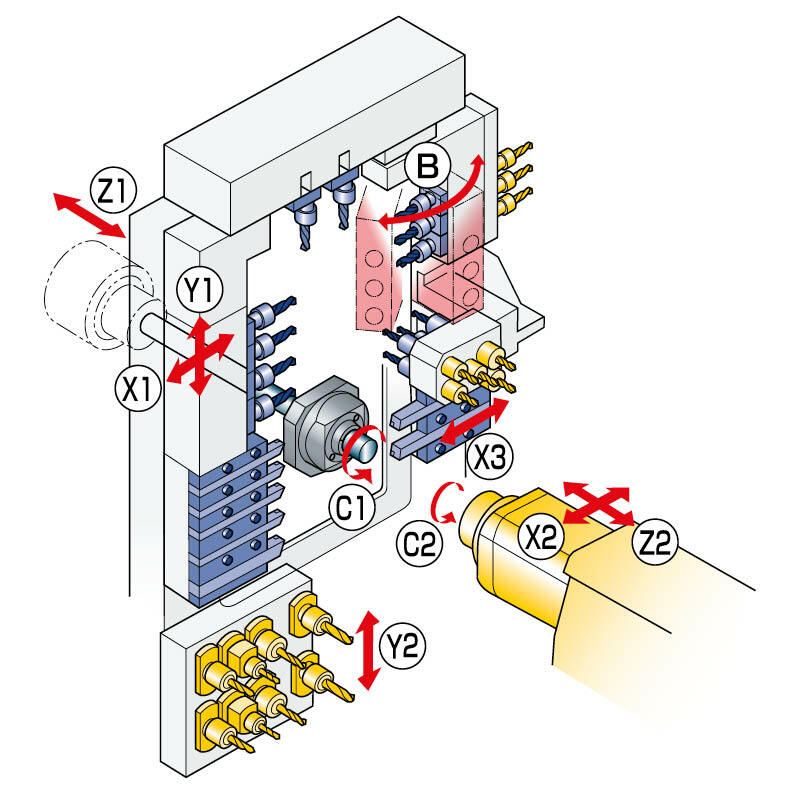 Fanuc’s high specification user friendly 31i-B control makes programming highly complex components simple and undemanding. 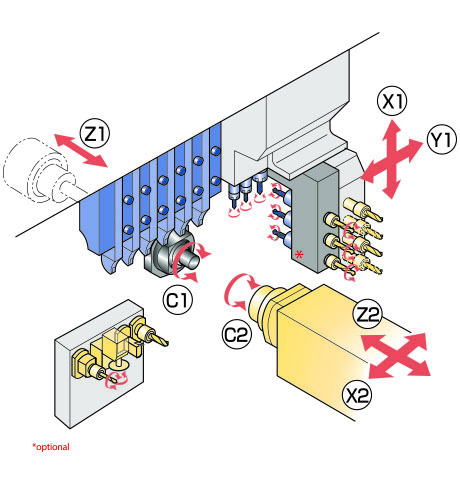 The Type A’s manual B-axis tool post includes three front working and 3 counter-face tool stations for angular work on both main and sub-spindles. The powerful sub-spindle with independent 8 station platen increases overlapped machining possibilities. The Y2 axis on the sub-spindle platen allows both cross working and front facing power tools to be mounted in any station.